When it comes to relationships, we’re in them for the long haul! Like many large purchases, your vehicle will require maintenance from time to time, and it’s important that you entrust it to experts. At Apple Autos, we service all makes and models. Our service advisors and technicians are Master-Certified and factory-trained with the latest tools and equipment needed to get the job done right. Our goal is to make the inconvenient convenient, and get you back on the road as smooth and as safe as possible. Stand-alone and chain service centers cannot offer the expertise and product knowledge of our service staff, nor do they have the special tools available only to real franchise dealers. Come see why it’s different here. Our technicians are part of a network of 35,000 factory trained Ford Technicians across America ready to service your car, truck, or SUV. Their training was developed by the same company that designed, engineered, and built your vehicle. This means we have the right parts, tools, and techs to help ensure your service is done correctly the first time. At Apple Ford Lincoln Apple Valley, an oil change is so much more than just that. When you come in for The Works, you receive a complete vehicle checkup that includes a synthetic blend oil change, tire inspection, Multi-Point Inspection, fluid top-off, battery test, and filter, belts, and hoses check – all for a very competitive price. When you press your brake pedal, a complex system goes into motion to help keep you and your passengers safe. That’s why it’s so important to have highly skilled technicians service your brakes. 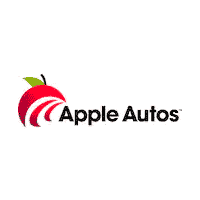 At Apple Autos, we have the right parts, tools, and certified-trained technicians to take care of your every need.